Prior to shooting Cpl. 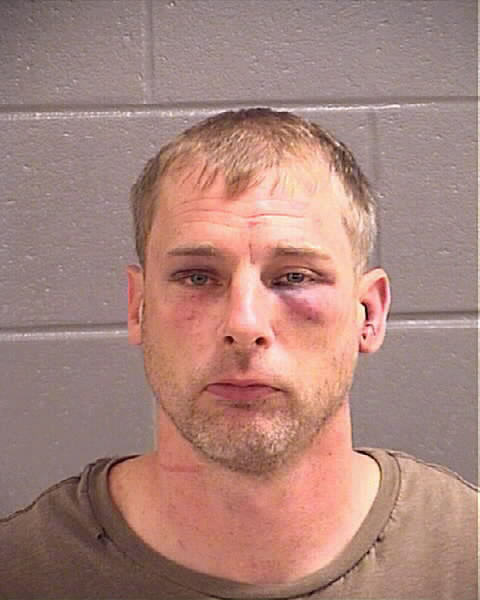 Chad Moxon, of the Griffin Police Department, 30-year-old Richard Bivens, of Locust Grove, was injured in what SCSO investigators have labeled a domestic incident involving a woman Moxon was visiting Tuesday night at an Old Atlanta Road residence. The Spalding County Sheriff’s Office’s investigation into a Tuesday night shooting at 4768 Old Atlanta Road is continuing, with authorities saying they have received conflicting accounts of the incident that resulted in Cpl. Chad Moxon, of the Griffin Police Department, sustaining a single gunshot wound. Moxon was off duty at the time the incident occurred. Upon arrival at the scene, deputies made contact with Moxon and 30-year-old Richard Bivens, of Locust Grove, the man identified as having fired the weapon in what investigators have labeled a domestic dispute. Bivens was taken into custody and Moxon was turned over to Spalding Regional Medical Center Emergency Medical Services. Spalding County Sheriff Wendell Beam said Moxon was treated in the emergency room of Spalding Regional Medical Center, and was released within a few hours. Investigators were summoned to the scene and learned of Moxon’s standing as a GPD officer. Bivens maintains he was unaware that Moxon is a law enforcement officer. Bivens has been charged with a single count of battery, and has bonded out of the Spalding County Jail. Investigators are currently working with the District Attorney’s Office with regard to the shooting aspect of the incident. Due to conflicting stories, investigators are reviewing statements made to them during the initial phase of the investigation. Bivens has not been charged with reference to shooting Moxon, and maintains he took that action in self-defense. Moxon is not currently facing charges, pending the outcome of the investigation.